Hey friends! Do you remember Lindsey, from American Heritage Cooking? Now-on to the wonderful treats that I'm sharing. They're awesome, all. 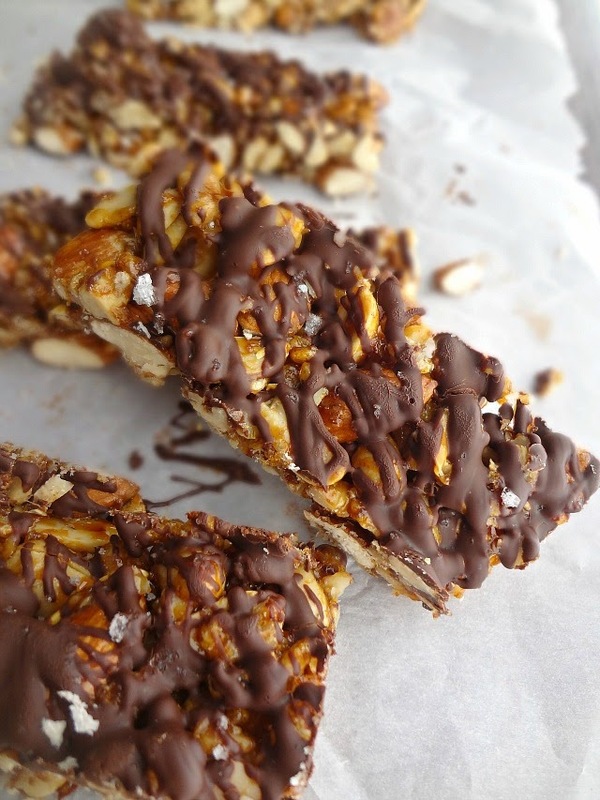 They're a copy cat recipe for KIND bars (a kind of granola sort of bar)--and these are cheaper, healthier, and tastier! And they're super simple to make, I promise! They're subtly sweet and crunchy with just a touch of sea salt on top to balance the whole thing. 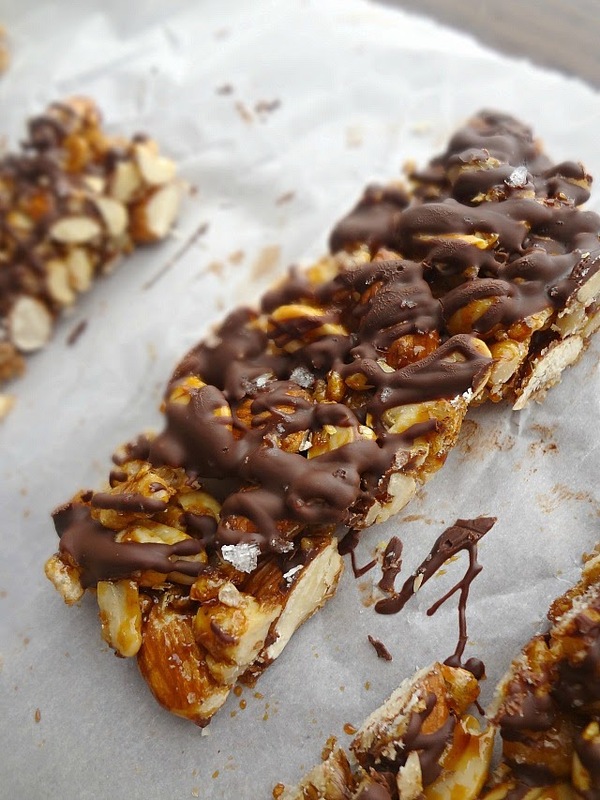 If you love nuts and dark chocolate (and like...who doesn't?) 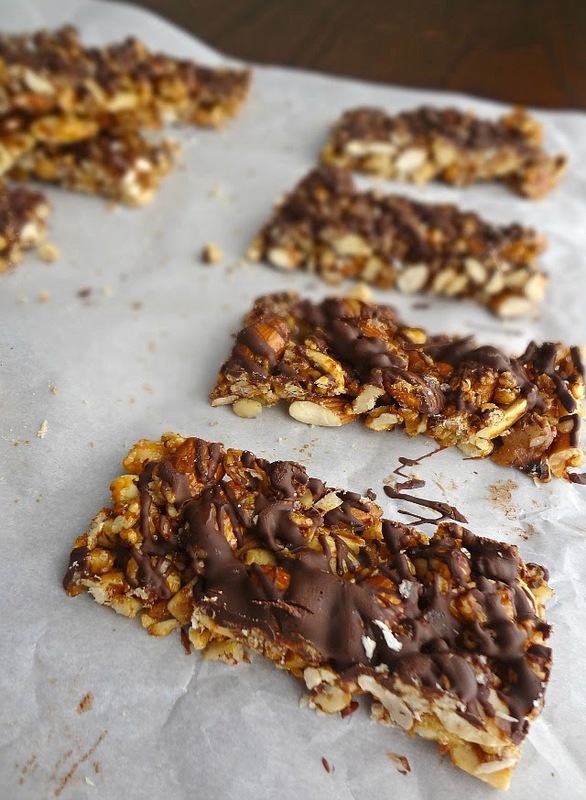 these are the perfect healthy snack for you!